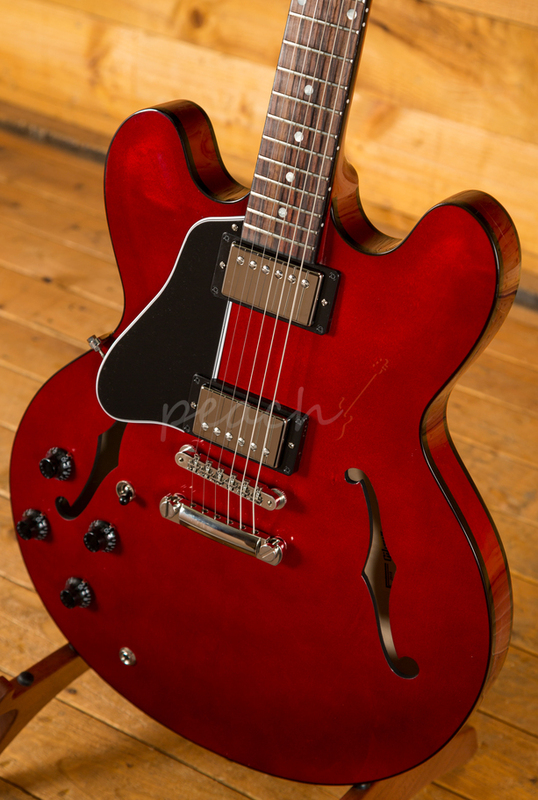 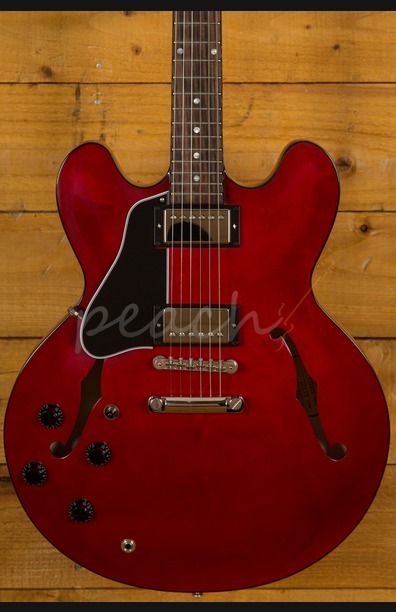 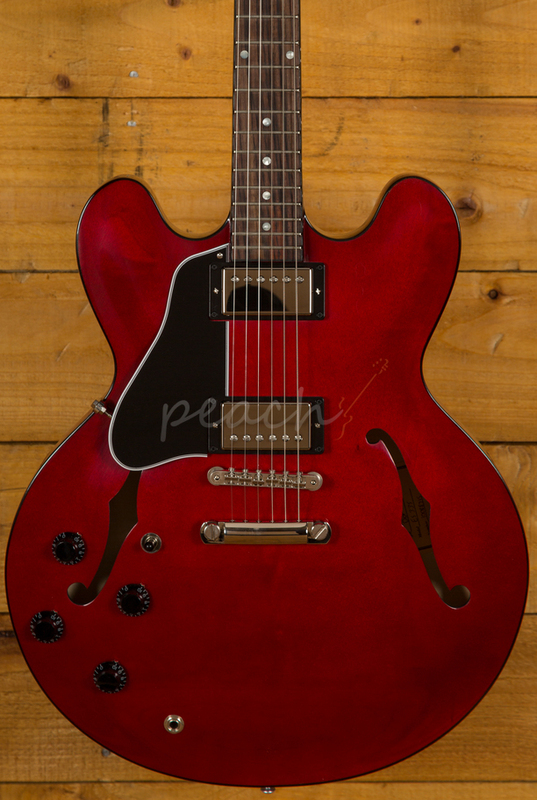 Gibson are the kings when it comes to hollowbody guitars, since launching the ES-335 back in the '50's Gibson have been refining and improving hollowbody design. 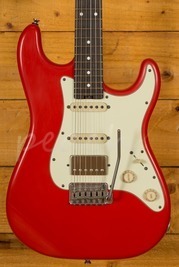 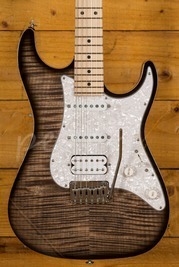 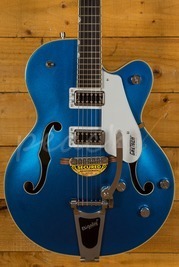 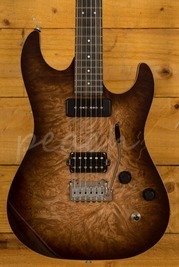 We love it when brands provide great models for our left handed friends and this is a great guitar! 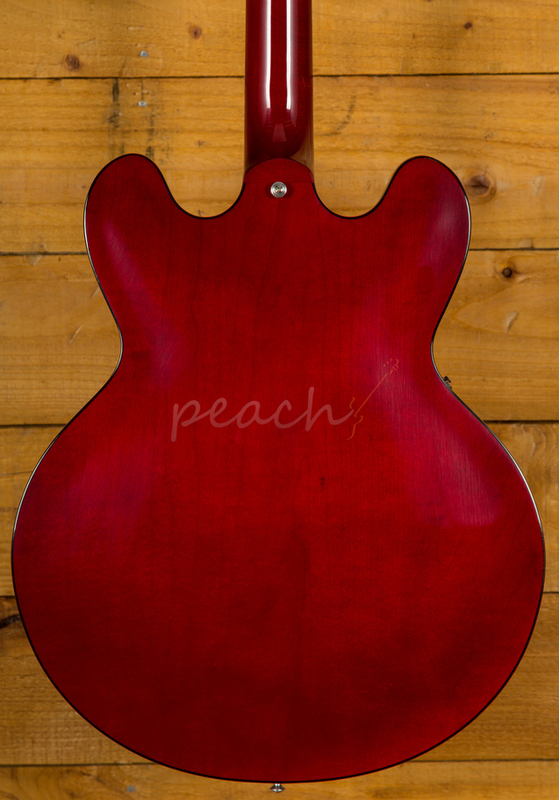 A 3-Ply Maple/Poplar/Maple body is finished in Wine Red and offers incredible sustain, a sweet, rich tone and a supreme playing position. 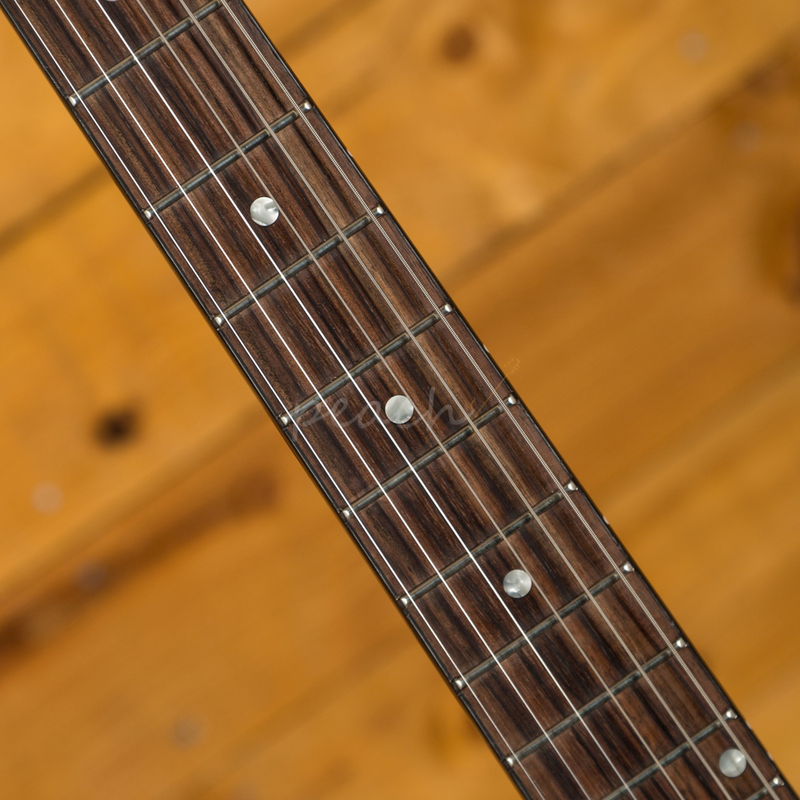 The Maple neck features a Rosewood fingerboard, traditional C profile, 12" radius and classic vintage Gibson mother of pearl dot inlays. 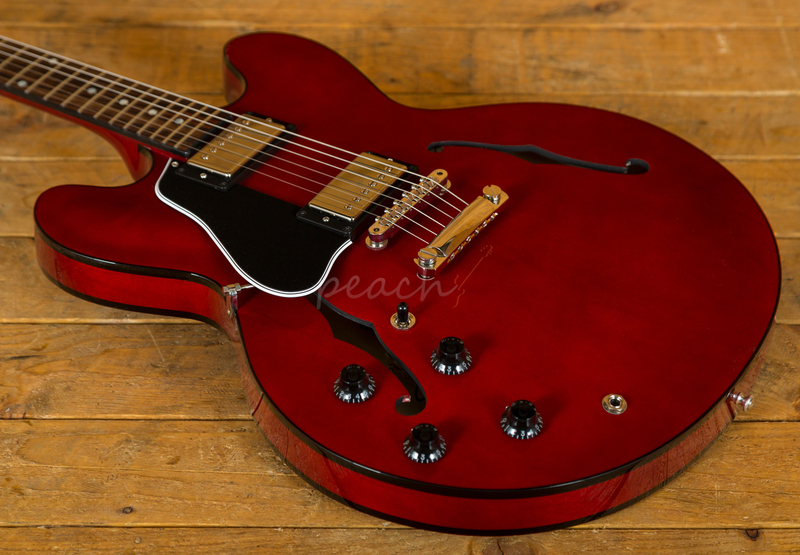 A pair of Gibson BurstBuckers it delivers authentic Gibson PAF tones, crystal clear and with great note definition, these humbuckers deliver true vintage Gibson vibes. 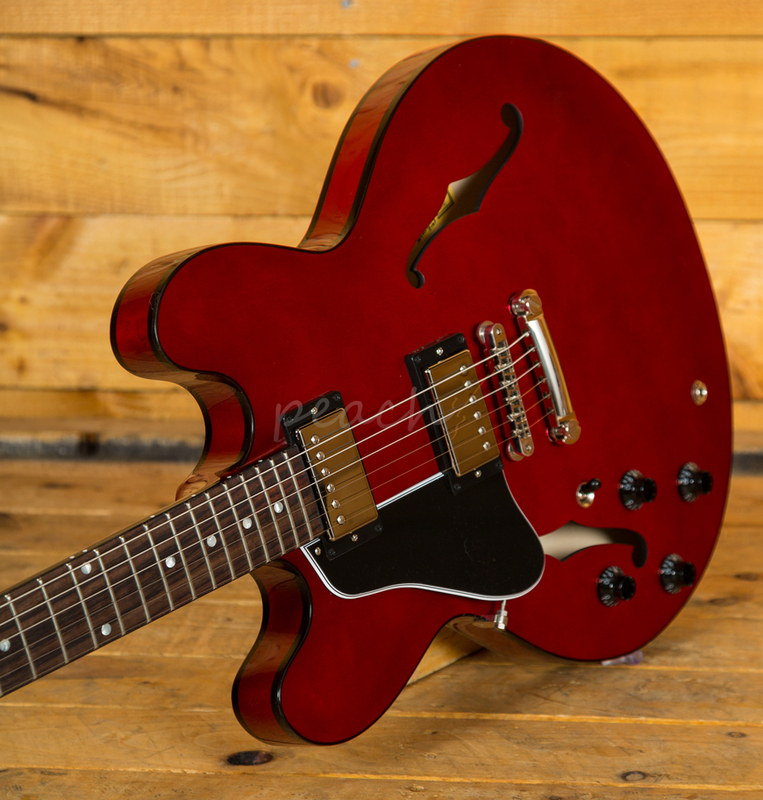 With the ES-335 Dot, Gibson have perfectly captured the old school sound so many of us crave but in a brand spanking new, super slick guitar. 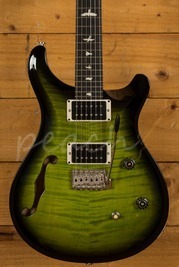 It's a winner.